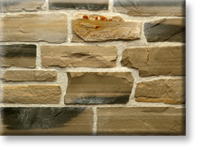 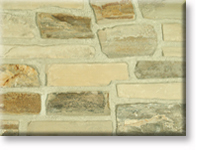 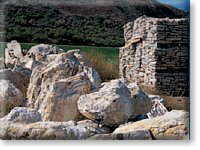 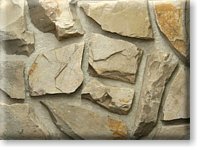 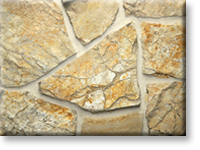 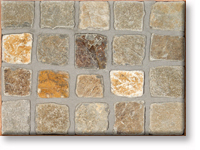 Description The Autumn Creek petite european castle is a bluish gray bodied stone with a wide variation of brown and gold tones to a dark burgandy color snapped into random squares and rectangles ranging from 3"x 3" up to 11"x 11" (with some pieces longer than 11" in length). 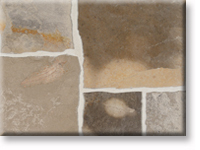 It is sold by the square foot and includes a 1/2" grout joint in the 200 square foot box /crate. 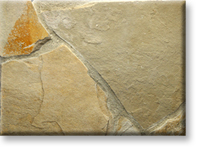 It is also available in corner pieces sold by the linear foot with150 linear foot box /crate.